My children are, as are many others, rather adept at making a racket. They are known to bicker and fight or scream and shout together in delight. This summer though, I’m hoping for a different kind of racket from them. A tennis racket in fact. You see, I’ve signed both of my children up for a 6 week course of tennis lessons. They’re not just any lessons though, oh no, they are FREE tennis lessons. I’m always keen for my children to try new activities, learn about different sports and maybe take one up. It’s something that I wasn’t generally able to do when I was younger. My parents didn’t have the money to pay for lots of different lessons – especially with four children in the house – and anyway, there wasn’t a lot on offer due to a lack of local facilities. Over the years this seems to have changed. Getting children interested in sport is definitely something that more organisations and sporting bodies are trying to do. I’m all for it; there are so many health benefits to being active as well as the added bonus of tiring your kids out. It’s why, this year, we’re taking part in the Lawn Tennis Association’s ‘Tennis for Kids’ initiative. What exactly is Tennis for Kids? Tennis for Kids is a scheme which offers FREE tennis lessons to children aged between 5 and 8. There are 20,000 spaces up for grabs across the UK and each child who signs up gets 6 weekly lessons. On top of that, everyone who attends regularly will get their own racket to keep! The scheme is in its second year – with more spaces being given away this year than last – and it’s great that they’re doing this. 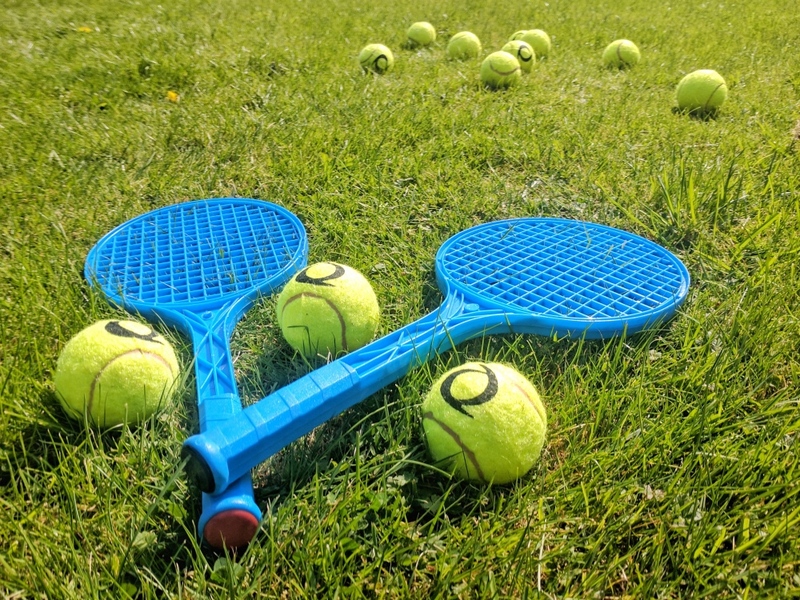 Not only does it allow children a chance to try it out, but the bonus of getting a free racket means they may be more likely to keep it going afterwards, whether it’s with paid lessons or in their back garden or local park. Making sport accessible to all is so important. Classes are set according to age group and are designed to be lots of fun, even for beginners. There will be ball games to help with hand-eye co-ordination and the classes will use softer balls and a mini-tennis court to make things more manageable for young children. As I’ve mentioned, both of my children will be taking part and I can’t wait to see them give tennis a try. At the moment we only have 2 plastic tennis rackets at home and they are NO fun at all. You can’t do anything with them. I’ve been reluctant to shell out for proper rackets though, in case they get used once and then never again. What’s been good for me is learning where these tennis lessons are taking place. I didn’t think there was anywhere too local to us which offered tennis lessons. It will be a little drive to get my children to their classes, but the venue isn’t as far away as I first thought. How to register your child for free tennis lessons. Signing up for Tennis for Kids is a quick and simple process. Go to the ClubSpark website, enter your postcode into the search bar and voila, you get a list of local venues which offer the free lessons. Just click on your preferred choice and get your child booked onto the course. 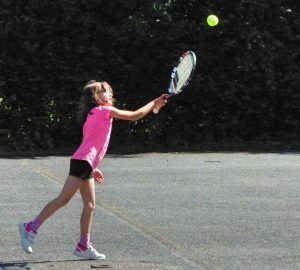 My children’s tennis lessons start at the end of April and I’m sure I’ll be writing a blog post (or 2) of our experience. In the meantime, why not get your child involved too? You never know, maybe one of us will end up with the next Andy Murray or Johanna Konta on our hands! I am working in a paid relationship with the Lawn Tennis Association on their #TennisForKids campaign. 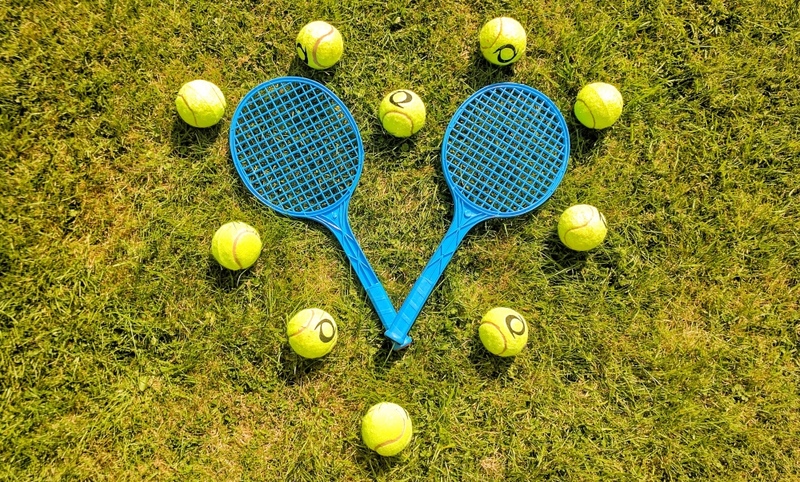 Sign up for your FREE tennis activity: https://clubspark.lta.org.uk/TennisForKids. This is such a terrific initiative and how wonderful that you have gotten your kids involved. They will have a brand new racket at the end of the course too – what a win-win! We are really looking forward to evie starting her lessons and its such a cool idea to help get kids outside during summer!